The following settings are available from the Parasolid Import Options dialog. When you have finished making your selections in the dialog box, click OK on the dialog. 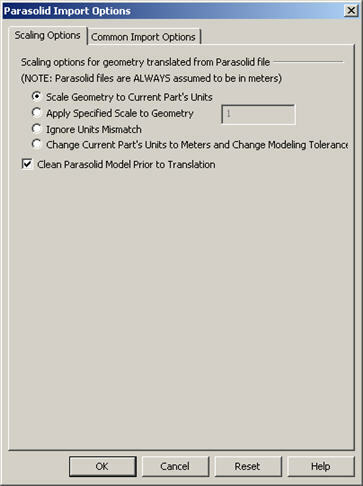 Clean Parasolid Model Prior to Translation – When selected, if there are problems in the part, KeyCreator attempts to fix these.